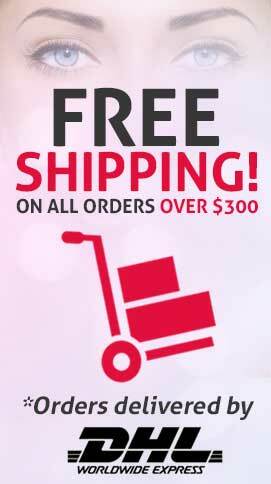 The perfect set program for your slender body shape and healthiness within 20 days! Day 1–10: Drink Cho12 Fasta continually for 10 days before bed to detox intestines and wastes in the body. 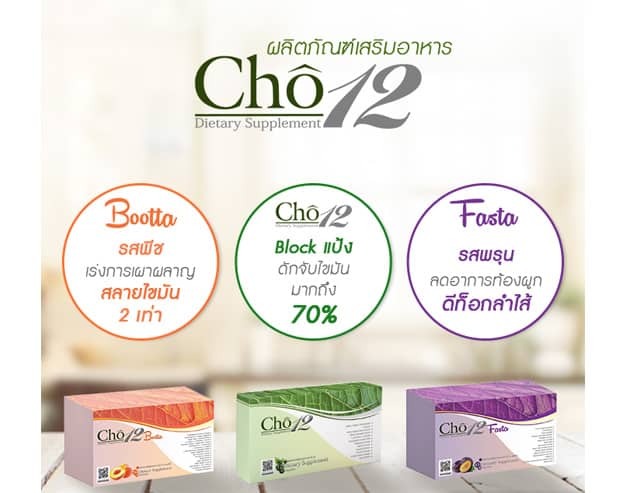 Day 11–20: Drink Cho12 Bootta every morning after wake up or on empty stomach, and take 1 capsule of Cho12 (Green Box) 10 minutes before breakfast, lunch and dinner. 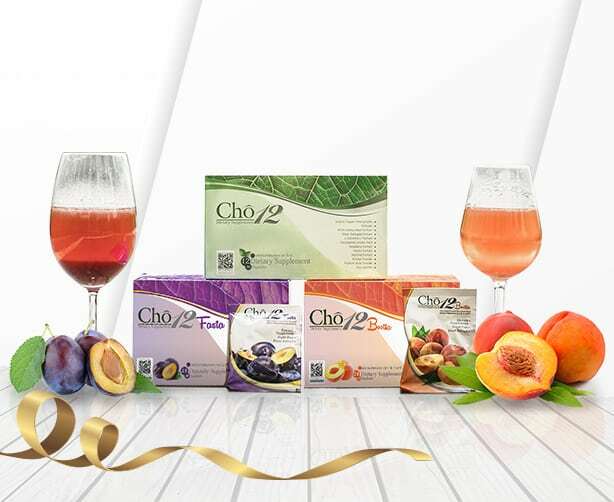 Cho12 is the dietary supplement that can block and burn out fats with benefits of 12 types of natural extracts well-selected from the premium grade quality out of the standard factory. 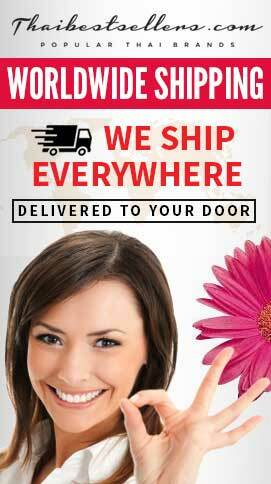 The product works by blocking and reducing fat absorption in each meal as well as burning out fats accumulated in the body, resulting in weight loss. Directions: Take1 capsule 20-30 minutes before meals. 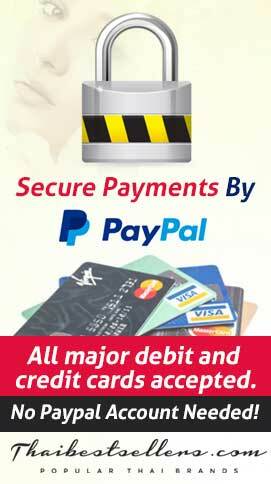 For heavy meal, additionally take 1 capsule right after the meal. 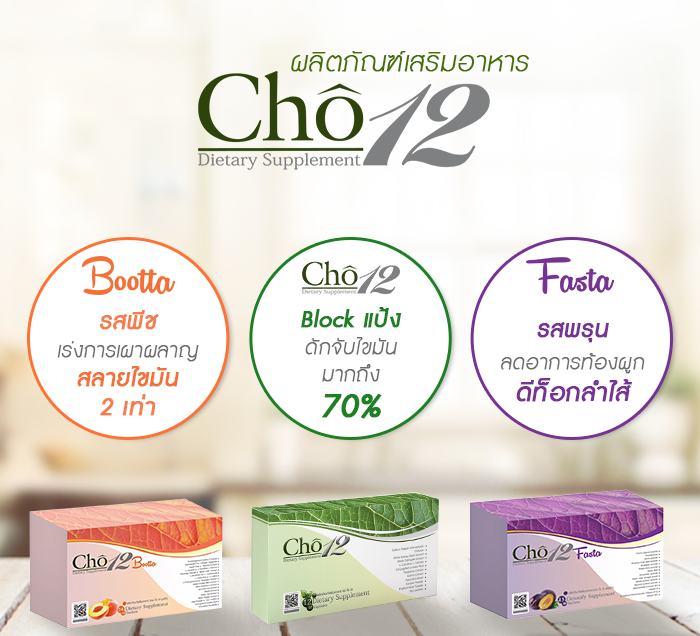 Cho12 Bootta is the dietary supplement for morning or before workout intake to burn out fats, reduce appetite, produce and restore muscles, refresh the body, and relax the body from stress. 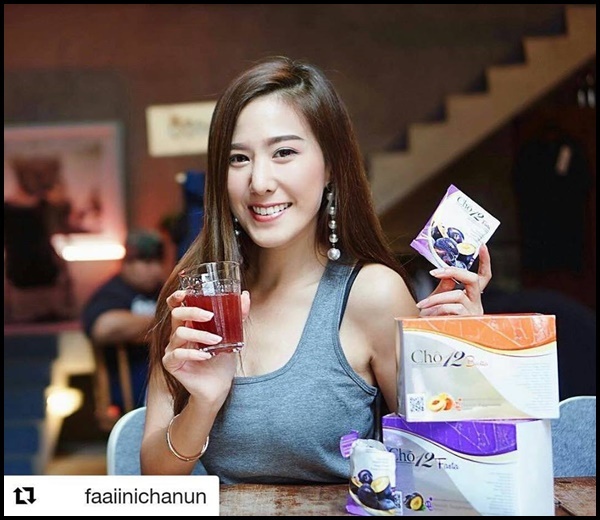 Additional intake with Cho12 and Cho12 Fasta will promote the better results. Directions: Dissolve well with 200 ml water and drink in the morning or before workout. 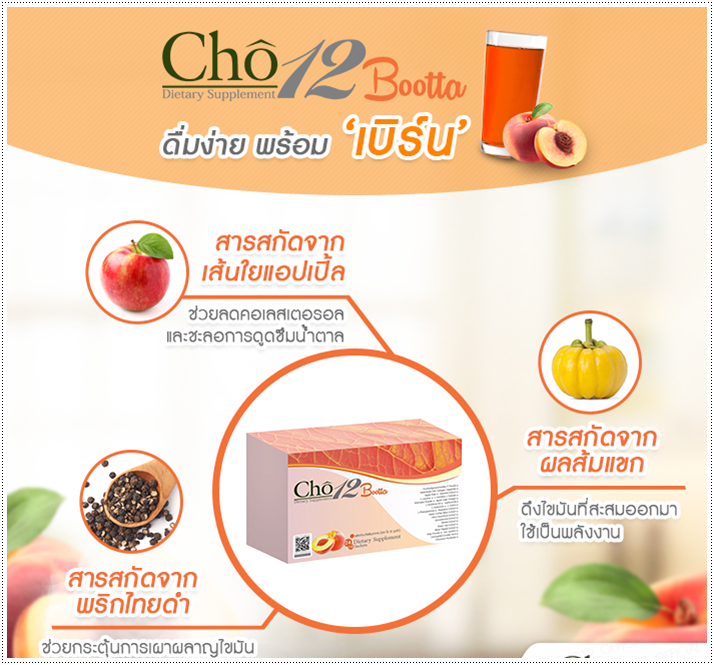 Cho12 Fasta is the dietary supplement combining the most potent fiber from various fruits. 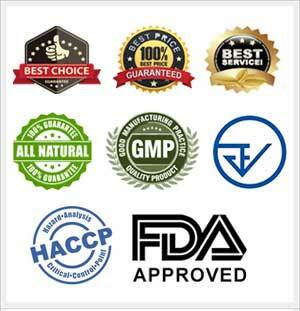 It has the excellent function in detox by expelling out wastes and residues received from food and drugs out of the intestines in the form of excretion. This leads to the body’s better absorption of nutrients. Directions: Dissolve well with 200 ml water and drink before bed daily.